It’s always amazing what you find when you clean up. 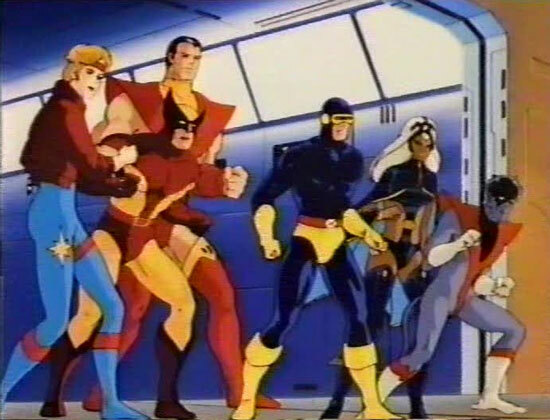 I recently unearthed my VHS copy of the 1989 X-Men animated series pilot Pryde of the X-Men. When I rediscovered I owned this, I did the only natural thing: watched it. I really liked the 1990s X-Men cartoon, but this was much better as far as animation and voice acting was concerned. The plot is pretty straight forward; Professor X has recruited Kitty Pryde to join the academy and unfortunately she winds up being a distraction that lets Magneto steal the mutant finding computer Cerebro. This really upsets Wolverine, who for some reason has an Australian accent. It’s up to the X-Men to stop Magneto and the Brotherhood of Evil Mutants. As a longtime Dazzler fan, I was super happy to see her in this cartoon. They actually did a good job introducing all the primary X-Men and most of the villains, even finding a way to stick in Kitty’s dragon pet/friend Lockheed into the story. Ultimately, this pilot didn’t get picked up. But it was adapted by Konami into an arcade game that is pretty sweet. Pryde of the X-Men gets a pretty mixed response online for being light on both story and action, and for its weird hodge-podging of characters. So is it worth watching? I guess so, especially if you are an X-Men fan or you enjoy the Marvel/Sunbow style of animation from the 1980s. This entry was posted in Uncategorized and tagged animation, australian accent, brotherhood of evil mutants, cartoon, kitty pryde, magneto, professor x, sunbow, x men cartoon, x-men by Chris. Bookmark the permalink. I remember seeing the last few seconds of the ending credits of an episode as a kid but never saw even a hint of an X-men cartoon after.It must have only aired once,but man was i upset that i had missed it. Yeah. This aired a few random times on syndicated cartoon blocks.